You can have pets and have nice things if you follow our handy guide cat (or dog) hair removal. We all know cats love yarn, especially yarn in action. Once those needles and hooks get churning keeping your project from a paw attack is virtually impossible, especially if it’s anywhere near your lap. Which means you end up with cat hair on your project or worse woven in. I’m talking to you luscious long hair felines. Here are some simple remedies for all you pet loving crafters. Nothing is more frustrating than a clean tight knit with a sporadic cat hair or two or thirty sticking out. For that I recommend you try the old damp rubber glove trick. A simple pair or rubber gloves with a spritz of water is like a pet hair magnet. Hold the project taut and give it swipe. If that doesn’t do the trick try the Gleener 2-in-1 Fuzz and Lint Remover kit with three edges for all different knits and weaves. Still can’t seem to get rid of that stubborn hair that is taunting you in the sunlight? Give your final project a once over with a Lint Shaver*. For those especially tenacious strays grab a tweezer and pull them out like the unwanted strands they are. *Lint shaver not recommended for shaving your cat. Your cat is going to be all up in your business anyway so why fight it. Buy yarn that’s fuzzy already thus masking any pet hair that clings on. Wonderfluff, Biggo, or Aloft will hide pet hair like a dream. The Professor Meow Sweater is perfect example of compromise. 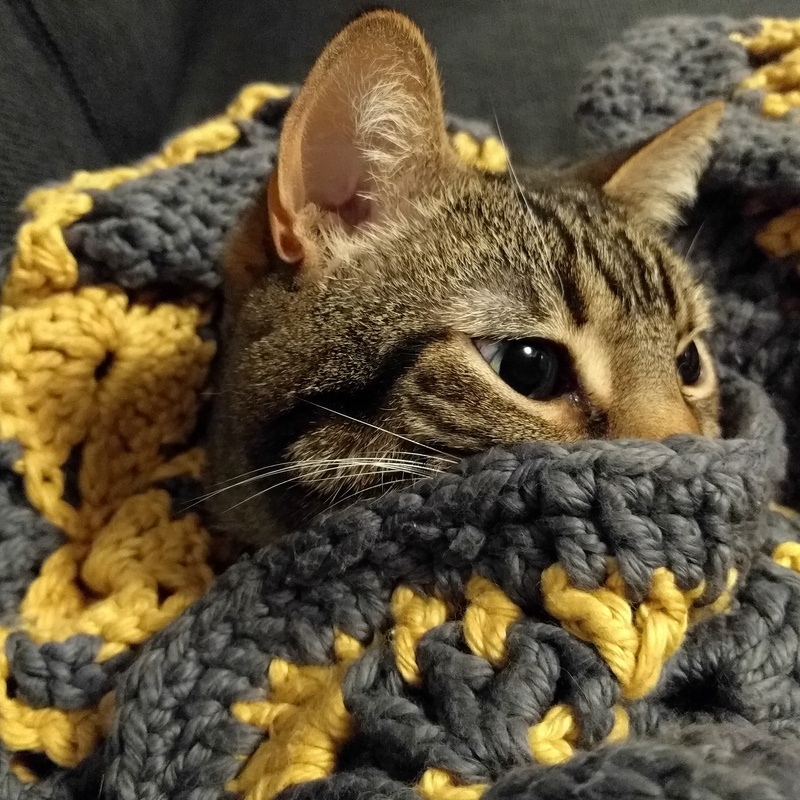 The post Pets & Nice Things: The Cat Hair Edition appeared first on KnitPicks Staff Knitting Blog.